Abu Dhabi, UAE – 27 October 2016 – Six state-of-the-art offshore vessels will star at the Abu Dhabi International Petroleum Exhibition and Conference (ADIPEC), organisers have revealed, adding that visitors will have an opportunity to go on educational tours of the impressive fleet. Building on the extraordinary success of last year’s inaugural edition, the Offshore, Marine and Heavy Equipment Zone is back for an encore, spanning 4,500 square metres of space and a purpose-built quayside exhibition and conference theatre at the Abu Dhabi National Exhibition Centre (ADNEC). The dedicated zone will feature a display of everything from rigs, vessels, ship building, and subsea drilling equipment, to certification, pipelines, mooring, and tools for reservoir production and mapping. Visitors will have an opportunity to climb aboard six sophisticated offshore vessels, from high-speed craft and landing craft, to tugboats and platform supply vessels reaching 70 metres in length, providing real insight into not only how equipment fares in situ, but also offering a more practical understanding of the issues faced by marine craft and offshore equipment operators. Taking place at a purpose-built waterside theatre, the ADIPEC 2016 Offshore and Marine Conference will be led by the Society of Petroleum Engineers (SPE). 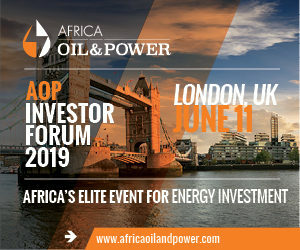 The forum will feature a series of CEO Sessions, Plenary Sessions, as well as Technical Sessions, bringing a host of world-leading experts to discuss critical industry issues. Topics will cover the latest developments in offshore production, as well as a dedicated session on the role of the first-of-its-kind entity for the region — the Emirates Maritime Arbitration Centre. Confirmed speakers in the Offshore and Marine Conference also include Yaser Saeed Al Mazrouei, CEO of the Abu Dhabi Marine Operating Company (ADMA-OPCO), and Hamad Al Maghrabi, General Manager of Abu Dhabi Marine Services (Safeen). Zakher Marine International (ZMI) will also be a key participant in this year’s exhibition. The Abu Dhabi-based offshore services company currently operates 50 offshore vessels. “With the ever-growing attendance of industry leaders and decision makers, Zakher Marine views ADIPEC as an important forum to showcase our capabilities and services,” said Mr. Ali El Ali, Executive Director at ZMI. According to a recent study by research firm Markets and Markets, the global offshore drilling rigs industry is expected to grow from an estimated $65.77 billion in 2014 to $102.47 billion by 2019, at a CAGR of 9.27 per cent, representing a sizeable investment in a sector that continues to play an instrumental role in the growth of emerging energy markets. Established as the world’s most influential exhibition and conference for the oil and gas industry, ADIPEC has a longstanding track record of bringing together globally celebrated luminaries and experts to discuss challenges and opportunities in the energy sector. The annual four-day event will take place from 7-10 November 2016 at ADNEC.